World Class sound... Naim Audio, based in Salisbury, England have been producing the world's finest CD players, amplifiers, loudspeakers, network players and all-in-one systems since 1973. Naim audio have a rich history of producing world-beating pre and power amplifiers. Ever since Naim's first power amplifier, the NAP160, was released in 1971, they have been striving for sonic perfection. Several iconic products, such as the original NAIT released in 1983 and the NAP135 launched in 1984, have set the basis for the current range of Naim amplification. The pinnacle of this development is currently shown by the mighty NAP 500 and NAC 552 pre/power combination which stands at the top of the audiophile tree as a truly world-beating combination. 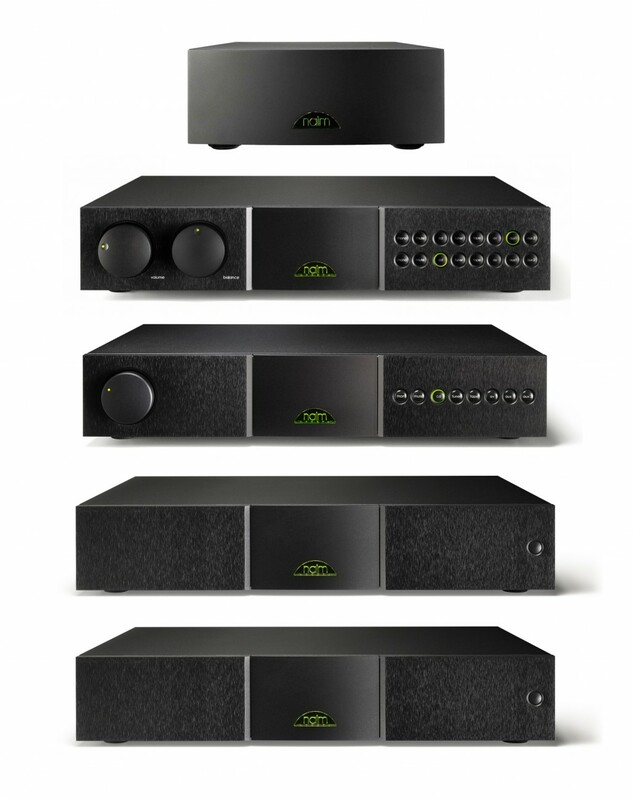 The Naim range starts with the NAIT 5i/2 and continues through to the Reference 500 system. The 500 series reference system from Naim is the culmination of 30 years of hard work, testing and development, with the aim of creating the finest audio system in the world. This journey started in the year 2000 with the introduction of the two-box, 140W NAP 500 power amplifier. With the NAP 500 viewed by some as the best power amplifier in the world, Naim then set out to replace the NAC52 with a new world-beating preamplifier. In 2002 the NAC 552 was born, also adopting the two box system of a separate head unit and external power supply, the NAC 552 has won critical acclaim across the globe for its portrayal of all genres of music as well as the musical and punchy style, which to this day is synonymous with the Naim brand. The final piece in the jigsaw came in September 2005 when Naim released the CD555 at the Hi-Fi and Home Entertainment Show at Heathrow. After winning awards all over the world, it is generally viewed as one of, if not the best CD player of all time. Sleek, simple and stylish the CD555 was an instant classic. Both the NAC 552PS and CD 555PS power supplies have recently benefitted from Naim’s DR upgrades, a development which has raised their performance even higher! The Naim 500 reference system is a showcase of the very best of British Hi-Fi in the 21st century and really pushes the boundaries of what is possible from Hi-Fi in the modern age. The Naim Classic Series is a culmination of over 30 years of development, providing world-class products at their price point. The Classic range offers unbeatable musicality and upgradability, giving you the option to improve your system with the simple addition of an external Naim power supply. The Classic range is the first of the “full size” boxes and starts with the NAC202/NAP200 combination. We often use this pre/power combination at the core of our standard demonstration system here at Cymbiosis and you will regularly find it playing in our two-channel demonstration room alongside a Linn LP12, showing the casual visitor just how good a reasonably-priced system can sound. As you move up throughout the Classic range, you will find that there are many upgrade options allowing you to mix and match products to evolve your own system over time. We strongly recommend visiting us and having a demonstration of all the available upgrade options to ensure that you get the very best sound and value when upgrading your system. The classic range, like other Naim products, is under constant review. Sometimes revisions are small and sometimes they are very significant. For example, the Discrete Regulator (DR) upgrades, first announced during 2012, have brought massive performance improvements to Naim’s amplifier range. This development allows products such as the NAP250, first heard back in 1975, to remain near the top of the audiophile tree, giving superb quality sound and enjoyment to its listeners. 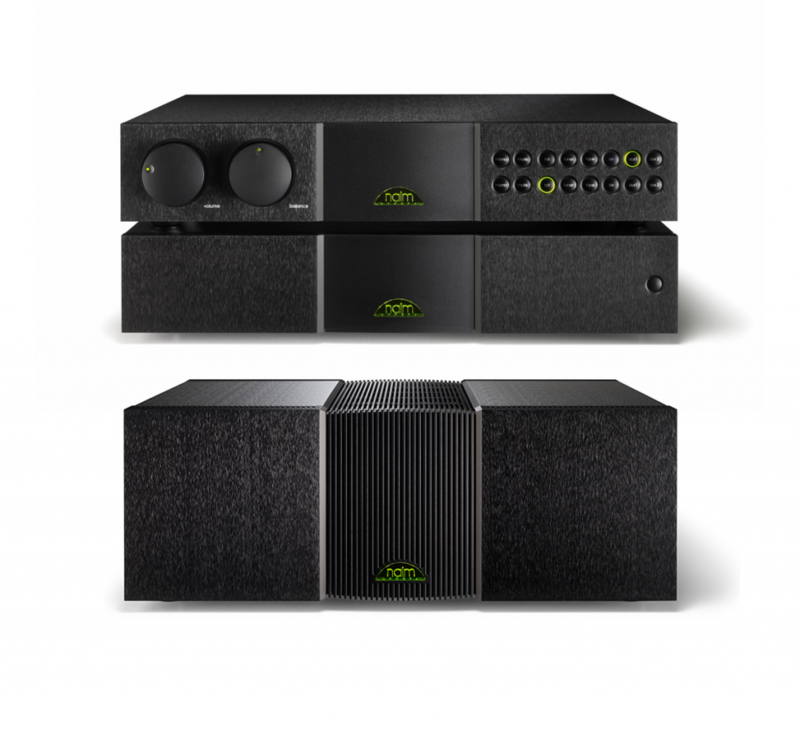 The Naim XS series is a family of products designed to offer the best performance at its price point and to be both versatile and easily upgradable. The NAIT XS 2 builds on the reputation and performance of the NAIT 5si, sounding even better in its standard form but also, with the addition of an external power supply such as the Flatcap XS, can achieve a much higher level of musical performance altogether. The NAIT XS 2 also includes a socket to allow the connection of one of Naim’s excellent phonostages if required. One further example of its upgradability is that you can add a NAP 155XS power amplifier to your NAIT XS 2, when it’s being used with a Flatcap XS power supply, to raise performance even further still. This flexibility means that you can build the performance of your system over time, when you are ready, with the addition of a new component. This is something that is universal with Naim’s Classic Series, allowing you to migrate and upgrade to some of the Classic Series components if you so wish. The NAIT 5si integrated amplifier is Naim’s entry level amplifier. There is a tradition of Naim NAIT amplifiers punching above their weight, which started in 1983 with the original NAIT and continues to this day with the NAIT 5si. With 60W per channel, the NAIT 5si shines, especially when paired with Naim’s CD5si CD player. With the versatility of having both RCA phono sockets as well as the traditional DIN connections, the NAIT 5si makes a flexible and excellent-sounding integrated amplifier for many users. The i series, like the XS series are housed in “Slimline” casework, giving them a sleek and stylish appearance. The i series is the first step onto the Naim ladder and never fails to impress.